When talking about travelling, low cost are all those companies with an optimized charging structure and a massive sales philosophy. These two approaches allow low cost companies to save money and therefore offer better prices than traditional companies. It works for hotels, flights or, in our case, car rental. Low cost car rental companies are specilized in cheap car rental. They are located in most tourist Spanish cities, such as Málaga, Mallorca, Alicante and Gran Canaria, but also in other countries: in Italy, in Rome, Milan and Pisa (nearby Florence) and in Portugal, in Faro and Lisbon. Low cost car rental companies are usually located at airports where low cost flight companies -Ryanair, Easyjet...- land. Most of the times, low cost car rental companies are not located inside the terminal: in order to save money, they locate their offices nearby the airport, where they don't pay the airport holding company for renting some space inside the airport. Nowadays, they are also locating new offices nearby main Renfe AVE railway stations in Madrid, Barcelona and Alicante. Most conventional car rental companies, such as Europcar, Sixt, Avis, Hertz and some local companies such as BK rent a Car in Mallorca, Menorca and Ibiza, or Cicar in Canarias (Gran Canaria and Tenerife Norte / Tenerife Sur) have all included fares. However low cost car rental companies such as Centauro, Record, Solmar and some local ones, only include the basic renting price on their fares, and most mandatory complements will only show up at the counter. Staff will usually put you under lots of pressure to buy additional extras. With an annual turnover of over €70 million, Centauro is a reference company in the car rental market. It has a low cost business model, implying some hidden charges in its terms and conditions that result into costumers complaints. However being a successful company, it became a second-hand car fleet resale market-oriented business, rather than a pure car rental company. Record Go is a company from Castellón. This is quite an unusual low cost company, as there is no airport in Castellón, and they have no car rental offices in the city. Their offices are located inside the airport terminal in Málaga, Mallorca and Alicante. Inside offices are much more convenient than nearby ones, which use a shuttle to drive you to their offices. Spanish island companies have a different business model compared to mainland companies. Some local companies have risen in the market, offering very interesting and solid car rental options. Cicar is a Canary car rental company, with offices in Gran Canaria, Tenerife Norte, Tenerife Sur, Lanzarote, Fuerteventura and La Palma. On the other hand, low cost companies are of Spanish origin, and were created to offer a new car rental market to tourists. Budget belongs to Avis. Just like the previous mentioned companies, they offer cheaper car rentals, and a greater small car categories fleet (the ones preferred by tourists). eAlquilerdeCoches / RentalCars.om have cars almost everywhere in the world. They are the biggest car rental company in the world, and have a guaranteed minimum price policy. Against them, we can point at their stressing fictitious messages such as: "there are only 3 cars left at Alicante Airport" or "prices are rising". In order to make a reservation you must pay the whole amount. But they give you the money back if you need to cancel it. Amigoautos are specilized in low cost companies, so you may end up renting a car with Record. Knowing their market, you know your options. Their main advantage is that they usually offer you a discount on their website. PepeCar used to have their own car fleet, and were part of Halcon viajes, but not any longer. Now they are a car rental comparison site offering cars through Amigoautos. They offer the same cars as Amigoautos. Same as Pepecar, they used to have their own car fleet, but not any longer. Now they offer third parties car rentals thanks to an agreement with Car Trawler. Same as Vueling and Renfe. Atrápalo is a Leader Travel Company. They offer car rentals with some extra information. However, and as usual, it is a must to read and understand the small print. They offer car rentals from almost every operator in Spain, and discounts when reservation hotel + car rental or flight + hotel. Despite its popularity as a hotel comparison site, as a car rental comparison site, Kayak is not offering much than Atrápalo, eDreams or some similar companies. However, they are known to be great on hotel reservations, so if you are also looking for a car rental, it is an option. Think of it if travelling outside Spain. Just another comparison site. Nothing to add. 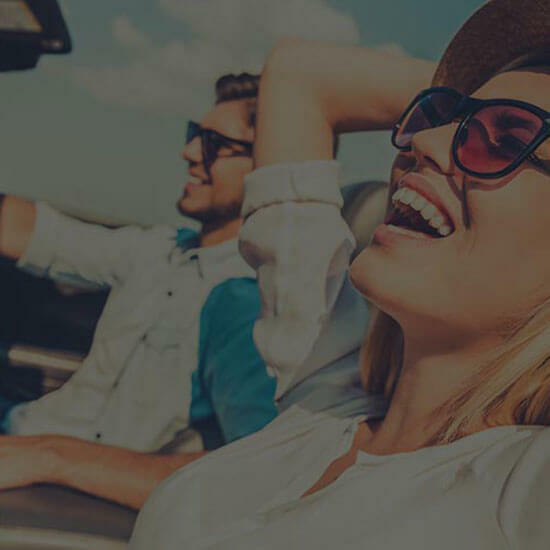 They just offer the typical operator comparison, but if you are travelling to the United States (Miami, Los Angeles, New York), it can be the perfect match for you as they have agreements with many car rental operators.